As part of our Dental Core Training, one of our most recent study days was held at KCH about Hypodontia. What did I learn from the day? Hypodontia is a condition of missing teeth (usually 1-6 teeth). If more than 6 teeth are missing this is classed as Oligodontia whereas if all teeth are missing, this is Anodontia (this is extremely rare). 80% of hypodontia patients have 1-2 teeth missing and hypodontia in the primary dentition almost always leads to hypodontia in the permanent dentition. There is no recorded incidence of anodontia. 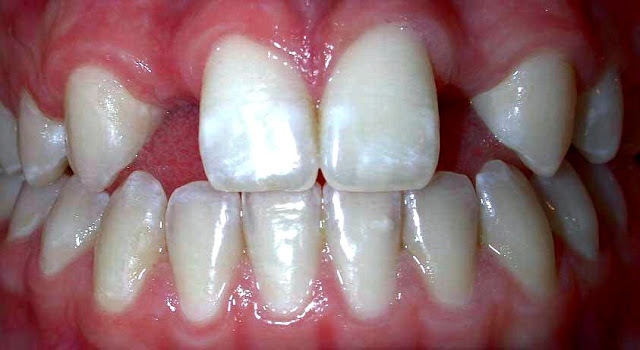 Which teeth are most commonly affected? If environmental factors are implicated, then the timing of the incident indicates which tooth will be affected i.e. what stage in tooth development is affected (a good resource for this information is the American Academy of Paediatric Dentists). Genes that have been implicated include MSX1 (which leads to absence of 5s and 8s), PAX9 (associated with microdontia) and AXIN2 (which leads to the absence of 8-27 teeth and also implicated in colo-rectal cancers). So a patient has missing 5s; they are very likely to have retained Es which can actually have a good prognosis sometimes (I've seen patients in their 40s with a retained E or so!). But what risks are associated with infraocclusion? Infraocclusion is associated more with Es than Ds and is more likely to happen on the lower arch. This is just a snippet from the day. The overriding message I got was that whenever you see hypodontia patients, it is important to approach their management with a multi-disciplinary team including paediatrics, orthodontics, restorative dentists, oral surgeons and sometimes even psychologists and geneticists. Certainly in both my restorative and oral surgery rotations I have been involved in the management of these patients. 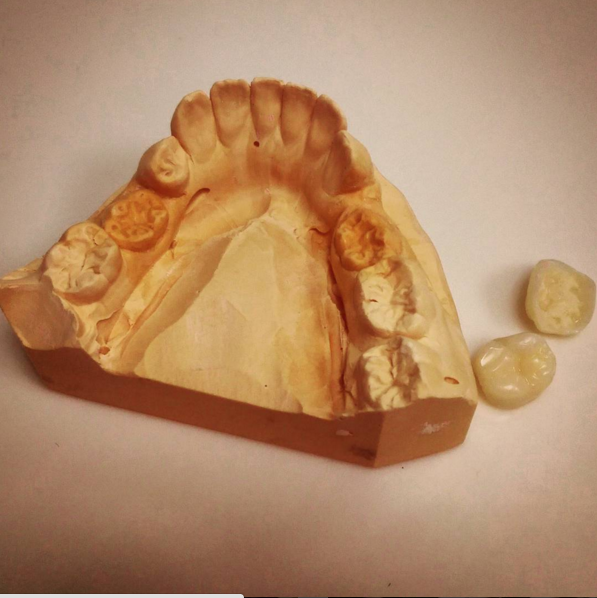 On the restorative side I have provided resin-retained bridges, composite augmentation and the onlaying of infraoccluded Es. Now on my oral surgery rotation, I have been involved in the planning and placement of implants for these patients and sometimes even autotransplanting or parking canines which have been ectopic. It's been really interesting to manage these patients from different approaches! A patient I provided direct Gradia onlays for infraoccluded Es. To read more about hypodontia, the team at KCH have started a blog page with lots of information - see here. Please leave any thoughts or comments in the comments section.